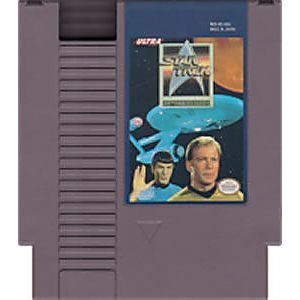 Star Trek 25th Anniversary original NES Nintendo Game cartridge only - Cleaned Tested and Guaranteed to Work! excellent game, easy to play and enjoy. Plays similar to Zelda. This really is a blast from the past. I'm not grading the game, it's kinda silly. 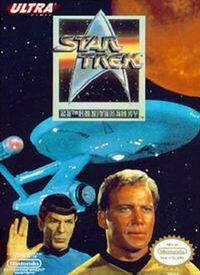 But I love Trek, and it came in great condition and shipped quickly. Stardate. . . . Captain's log. 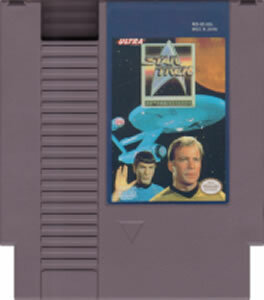 The most exciting game ever made. Excellent graphics! Excellent music! A very easy game to play, when you have the guide. Incredibly frustrating. This is because it is so hard to line yourself up to shoot something that is firing at you. By the time you're line up to fire back you're already dead. Play the PC version of this game instead. FAR SUPERIOR (especially if you get the CD ROM edition where it has the main cast doing the voice acting).